The People’s Mojahedin of Iran (PMOI/MEK) is the oldest, largest, and most popular resistance organization in Iran. The PMOI was founded in September 1965 by three Iranian engineers who sought to replace the Shah’s repressive monarchy with a democratic government. The PMOI enjoys broad popularity in Iran because of its longstanding support for democracy and its modern interpretation of Islam. The People’s Mojahedin believe Islam is inherently tolerant and democratic, and fully compatible with the values of modern-day civilization. The People’s Mojahedin participated in a united front against the Pahlavi monarchy, which violently opposed democratic reforms and had one of the worst human rights records in the world. After the Shah fled Iran, the resistance organization worked to establish a democratic government, but Ayatollah Khomeini hijacked the Revolution and instead created an Islamic theocracy. The PMOI shifted course and directed its opposition against the Ayatollah, continuing its struggle to restore democracy in Iran. In June 1980, the PMOI organized a rally in Tehran to protest Khomeini’s escalating despotism. More than 200,000 people participated in the demonstration. PMOI supporters leaving the event were attacked by the Hezbollah, leaving five dead and hundreds wounded. 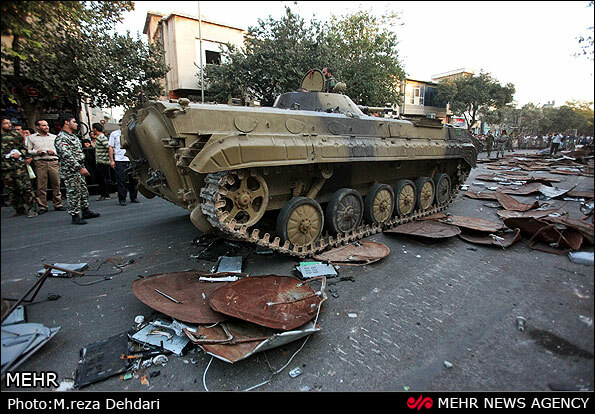 Revolutionary Guards escalated their attacks on the PMOI, which continued to promote its pro-democracy campaign. The turning point came on June 20, 1981. The PMOI organized rallies across Iran to protest Khomeini’s oppressive rule. 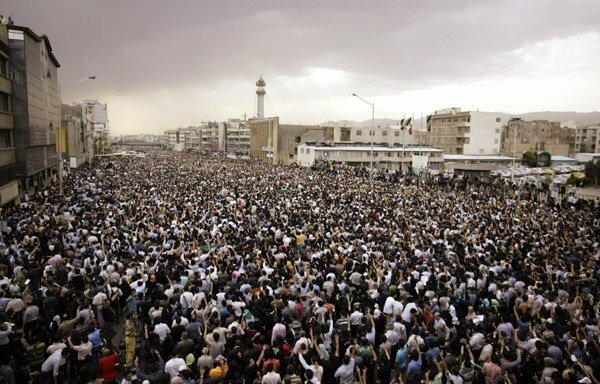 More than a half million Iranians attended the demonstration in Tehran. 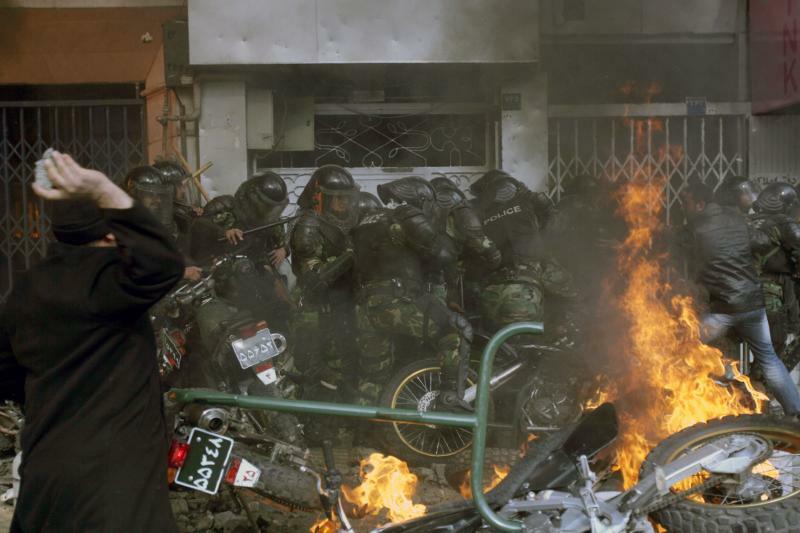 On direct fatwa by Khomeini, the Hezbollah blocked off streets and fired weapons into the growing crowds, killing hundreds of Iranians and injuring many more, thousands arrested. The reign of terror had begun. The following day, Khomeini’s henchmen executed hundreds of PMOI supporters who had been arrested, including young girls. The bloodbath was unrelenting. In the months and years that followed, more than 120,000 PMOI members and supporters were killed by Khomeini and the ruling mullahs. The savagery removed any legitimacy the Islamic Republic may have once had. 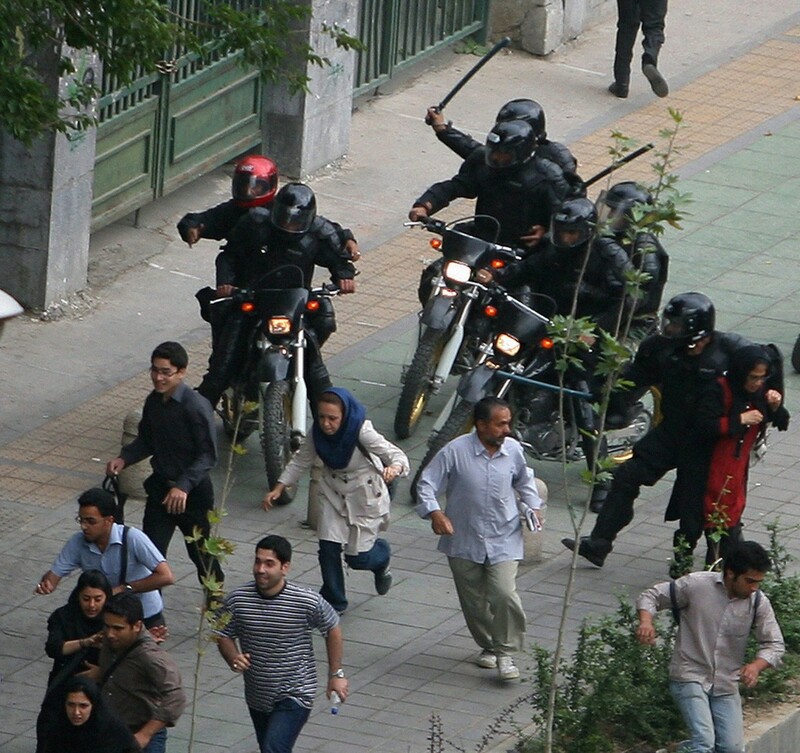 The regime is now viewed by the people of Iran as fascist, maintaining power through fear and brutality. Members and supporters of the PMOI have suffered greatly in their struggle to restore democracy to Iran. Iranians respect the many sacrifices made by the People’s Mojahedin and revere its martyrs. Through the years, the People’s Mojahedin has been steadfast in its battle to rid Iran of the mullahs’ nightmare regime, overcoming severe hardships and setbacks. The support by the Iranian people for the PMOI is also steadfast. The resistance organization has earned their respect and trust and it gives voice to their aspirations for a free and democratic Iran. The Iranian regime fully understands the threat the PMOI poses to it rule. Since Ayatollah Khomeini declared the resistance organization as the main opposition, nothing has changed. The People’s Mojahedin remains the main opposition and a growing force against the despotic rulers. Tehran expends vast resources to counter the PMOI’s influence. At every opportunity, it seeks to destroy the resistance organization. The PMOI is daily pilloried with negative propaganda. Efforts to undermine the People’s Mohahedin reach to the highest levels of government. As an example, when US officials in 1985 sought the assistance of Tehran in freeing US hostages held in Lebanon, Iran’s mullahs demanded in return that the US government publicly demonize the PMOI as a Marxist and terrorist organization. In 2003, French police raided the headquarters of the NCRI in Paris and arrested its leaders, claiming the group was “intent to prepare acts of terrorism.” An appeals court subsequently ruled there was no evidence to support the claims by the French government. It turned out that the raid was part of a quid pro quo deal with Tehran in exchange for lucrative business contracts for French companies operating in Iran. Iran’s Ministry of Intelligence and Security (MOIS) uses coercion and bribery to persuade PMOI supporters to turn against the resistance organization. They operate as undercover agents, distributing false and malicious lies about the PMOI to government officials, NGOs, and the media. Many people have been duped by the mullahs’ ploy, echoing falsehoods about the People’s Mojahedin in reports and news articles. But nothing could be further from the truth. If the PMOI were so inconsequential, as the regime suggests, why does it spend tens of millions of dollars annually to attack the organization? Why does the regime daily vilify the PMOI in news articles and operate attack websites that spew black propaganda to undercut the organization? Why does it publish scores of anti-PMOI books and organize anti-PMOI exhibits throughout Iran if the resistance organization is a marginal entity? If indeed the PMOI has “virtually no support among the Iranian population,” the regime is wasting massive amounts of time and money to defame the organization. Rather than ignore the resistance organization, the regime makes every effort to weaken the PMOI. And the reason they do so is because of public support for the People’s Mojahedin, which shares a yearning for freedom and democracy, the antithesis of the Islamic Republic. The exact number of PMOI supporters and sympathizers in Iran cannot be known because it is a crime to join or even express one’s support for the resistance organization. Article 186 of the Islamic Punishment Act states that “members and supporters” of the People’s Mohahedin or anyone who “in any way is active or effective in advancing its cause” is “regarded as mohareb or guilty of “waging war on God.” Those found guilty of the crime are punishable by execution, hanging, amputation of the right hand and left foot, or banishment. Given the extreme punishment for associating with the PMOI, people in Iran are obviously circumspect in revealing their ties to the organization. What can be stated is that many PMOI supporters in Iran have family members or friends who were persecuted and/or murdered by the Iranian regime. Others who are associated with the organization share the PMOI’s goal to bring the despotic rule of the Iranian regime to an end. While the number of PMOI supporters in Iran cannot be tallied, it is possible to gauge the organizations’ support in Iran from their actions and by the regime’s exhaustive efforts to counter the resistance organization, belying the myth that it is insignificant and disfavored by the public. The Iranian regime labels the PMOI as “monafeghin,” a derogatory term meaning “hypocrite.” Ayatollah Khomeini first tagged the group with the negative moniker in a speech in June 1980. The slogan is also intoned in the morning. “Children, as young as seven, are taught to start the day by fouling the “monafeghin” (MEK), as well as the US and Israel in their morning chants,” according to a news report. It makes no sense for the regime to malign the PMOI at government rallies and at Friday prayers, elevating the resistance organization’s public profile, unless the mullahs actually believed the group had substantial support and was a continuing threat. Although the PMOI must operate in the shadows in Iran, the organization maintains a high public profile due to its satellite television channel, Iran National Television (INTV). In Persian, it is called Simay-e Azadi or the Voice of Freedom. INTV fulfills an important role in Iran, where a free press is prohibited and the flow of information is highly restricted. The satellite channel, based out of London, operates commercial-free and is run largely with the assistance of volunteers. INTV’s reporters have an extensive network of contacts inside Iran from which they gather information on events within the country. INTV broadcasts news reports on the inner workings of the government and anti-regime protests, both of which are heavily censured by the regime-controlled media. Many expats also rely on INTV for news about Iran. INTV has an estimated 10 million viewers and its popular website receives tens of thousands of hits daily. In addition to news, INTV broadcasts programs on Iranian history, literature, culture, art, music, and comedy, as well as documentaries that are unavailable to domestic audiences. INTV periodically conducts telethons to generate funds to operate its satellite broadcast channel. The contributions from the telethons can be viewed as a measure of the PMOI’s popularity both in Iran and by the expat community. A 50-hour INTV telethon in late January 2013 generated $4.1 million. Twenty-two phone lines were set up to receive calls. Contributions were also pledged by email, twitter, and on chat lines. Dozens of members of parliaments in Europe participated in the event, encouraging viewers to make donations. Contributions ranged from one dollar to several thousand dollars and were received from donors throughout Iran and 31 other countries. Iranian authorities regularly conduct raids to confiscate satellite equipment. On August 14, 2013, for example, police descended on 19 cities across Iran, collecting some 16,000 illegal satellite dishes. A satellite manufacturer was shut down and 107 people were arrested. 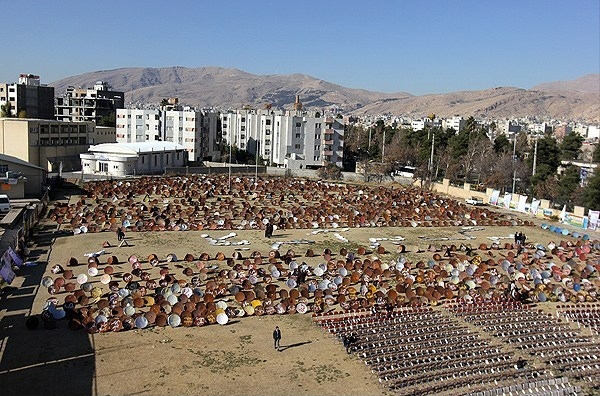 Officials also offer compensation to Iranians to persuade them to surrender their satellite dishes. “Citizens who hand over satellite receivers will receive a sum of money as appreciation and encouragement,” a commander of the Revolutionary Guard announced. Satellite dishes were made illegal in 1994. Persons caught using the equipment can be fined up to 3 million Iranian Rials (about $105). An increasing number of Iranians appear to be turning to satellite channels for news, including INTV, in response to the government’s crackdown on the Internet and the tracking and arrest of online activists. The regime has periodically jammed satellite signals to prevent Iranians from watching INTV and other channels. INTV has had to move its signal to other satellites (PanAmSat, AsiaSat, ArabSat, Eutelsat, and Hotbird) on numerous occasions to avoid being jammed. In recent years, the level of jamming has diminished. Other satellite channels jammed by the regime include BBC Persian Television, Voice of America PNN, Rangarang, and radio Zamaneh. 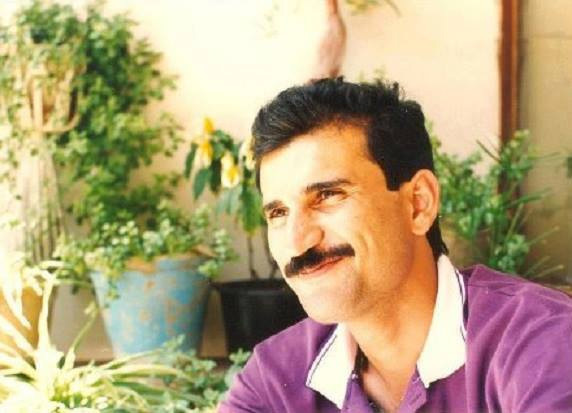 The execution of Gholamreza Khosravi Savadjani, 51, may be the first case in which a person was killed for sending information and making a contribution to a TV channel. Savadjani was arrested in 2007 and initially sentenced to six years of hard labor, with three years suspended. Iran’s Ministry of Intelligence and Security appealed the sentence and a judge resentenced Savadjani to six years in prison. In July 2011, Savadjani was transferred to a court in Tehran, which convicted him of moharebeh or “waging war on God.” On June 1, 2014, he was hanged to death. “Zel’e Sevom” – a TV series focused “on the birth and demise of the MEK group,” produced at the Sima-Film center. “Parvaneh” – a 15 part series on the PMOI, produced for the “Fajr Decade,” an annual event commemorating the ’79 Revolution and Ayatollah Khomeini’s return to Iran. The series was later broadcast on national TV. In June 2009, two hours after voting booths closed in which 40 million Iranians was announced to have cast a ballot, President Ahmadinejed was announced as the winner of the presidential election with 62% of the vote. The three opposition candidates said the election had been rigged and the vote tally manipulated to favor Ahmadinejed. In subsequent investigations, the turnout at 30 polling sites reportedly exceeded 100% and at 200 other sites turnout was greater than 95%. 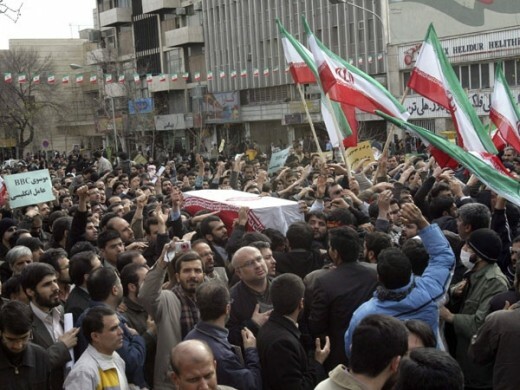 Iranians flowed into the streets to protest against the fraudulent election. The People’s Mojahedin, along with other groups, including the newly formed Green Movement, worked behind the scenes to organize the protests. Within weeks after the first protests, the PMOI’s slogans dominated the demonstrations, reflecting the public’s support for the group and its agenda, as well its influence in directing events. Authorities banned the anti-government rallies and blocked websites and cell phone transmissions to impair the protestors’ ability to organize. Dozens of people were killed and many were arrested, including members of the PMOI and the Green Movement. Numerous other reports and articles in Iran give details of the PMOI’s involvement in the demonstrations. 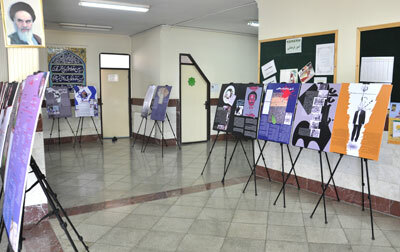 At the 17th annual festival of Press and News Agencies in November 2010, the Habilian Association sponsored an exhibition titled “The Green Hypocrisy Analysis.” It presented information on the old PMOI and the “new hypocrisy (the green hypocrisy).” The exhibition distributed photographs, posters, and software products. The Iranian regime goes to great lengths to malign the PMOI. It has published hundreds of anti-PMOI books. (See list in Appendix 1.) Some of the materials are published under the name of former PMOI supporters who were coerced to join the MOIS. The books are handed out at exhibitions and sent to government officials and reporters. In 2008, the Honorable Lord received a book titled, “A Terrorist Group with Different Faces,” about the PMOI, along with a letter without any contact details. The book’s ISBN number turned out to a forgery. The People’s Mohahedin is opposed to the Iranian regime’s nuclear weapons program and has disclosed details on more than 100 clandestine nuclear projects in Iran. The secret information on the nuclear sites is derived from underground intelligence sources and supporters working inside the government. In 2002, the NCRI revealed at a press conference the existence of two secret nuclear sites in central Iran, a fuel production plant in the city of Natanz and a heavy water plant in Ark. The public disclosure of the nuclear sites led to a three-year investigation by the International Atomic Energy Association (IAEA), which determined the Iranian regime had concealed enrichment activities in breach of its Non-proliferation Treaty (NPT) obligations. 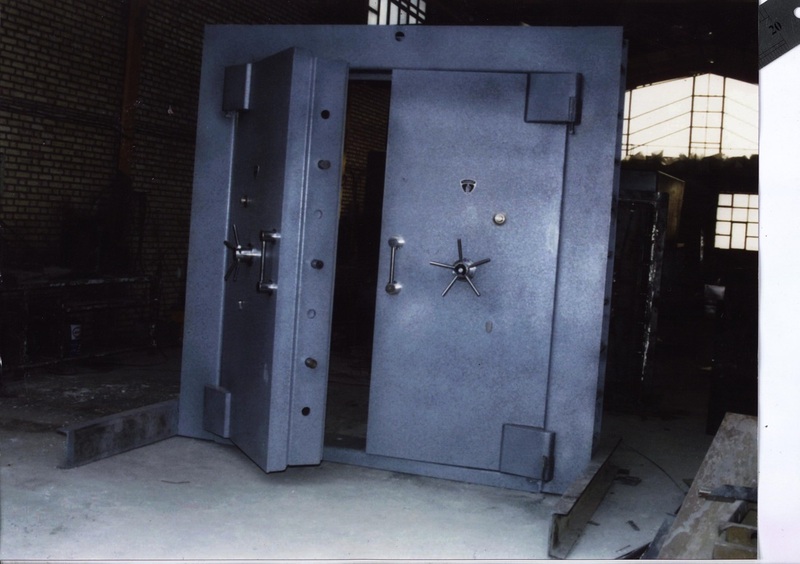 In February 2003, the NCRI unmasked the Kalay-e Electric company, which the regime claimed was a watch manufacturing company, but, in fact, was a secret centrifuge assembly and testing facility. IAEA inspectors were blocked from gaining access to the site for more than a year, during which time the regime tried to remove all evidence of its nuclear activities. When inspectors were finally allowed entrance to the facility, tests revealed trace amounts of enriched uranium. The regime subsequently acknowledged it had conducted enrichment research at the site. In September 2008, the NCRI made public the existence of a new hardened, underground site near the Natanz facility, located in the Siah Kooh mountains. The new site is linked to Natanz with a five-kilometer tunnel and is controlled by the military, which means it is off-limits to IAEA inspectors. 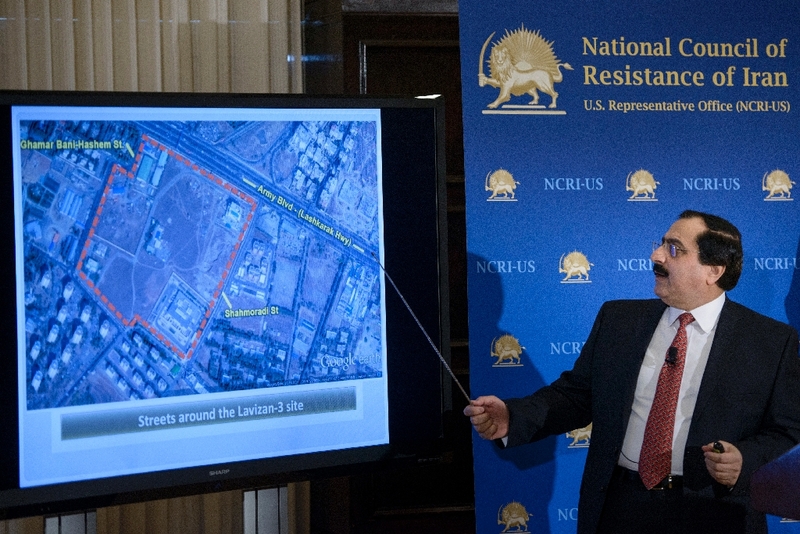 At a press conference in February 2015, the NCRI revealed details of an underground nuclear research site, known as Lavizan-3, which has been in operation since 2008. It is believed the top secret site is being used to enrich uranium and build and test advanced centrifuges. IAEA inspectors are denied access to the site because it is located within a military compound. It is estimated the facility can hold 3,000 centrifuges and is operated by Iran’s Ministry of Intelligence and Security (MOIS). The Iranian regime pursues with equal vigor the destruction of the PMOI both in, and outside, Iran. Since coming to power, Iran’s mullahs have murdered at least 162 political opponents [mostly PMOI] outside Iran, according to the Iran Human Rights Documentation Center. While international pressure forced the regime to curtail its violent attacks outside of Iran against the PMOI, it continues to spend vast sums on propaganda campaigns and undercover programs to discredit the organization. Perhaps the best indication of the PMOI’s broad popularity, dispelling the falsehood that it is an “insignificant” organization, is the support the resistance organization has received from the expat community and from former and current high-ranking government officials and associations. A large number of foreign dignitaries have publicly pledged their support for the PMOI, including former Joint Chiefs of Staff, governors, attorneys general, FBI directors, members of Congress, foreign ministers, prime ministers, human rights advocates, members of parliaments, and military officers. They all share the common goal of bringing fundamental change to Iran. Annually in June, the NCRI/PMOI organizes a rally in Paris to commemorate the anniversary of the June 20, 1981 demonstration in Tehran. The Paris event regularly draws tens of thousands of supporters. At the June 2014 event, more than 600 officials and parliamentarians from North America, Europe, Australia, and the Middle East expressed their solidarity with the Iranian resistance organization. Another major event that demonstrated broad support for the PMOI was the first convention of Iranian associations in Europe, North America, and Australia. Representatives from more than 300 Iranian associations, from 18 countries, participated in the convention on February 8, 2014, the 35th anniversary of the ’79 anti-monarchial revolution. 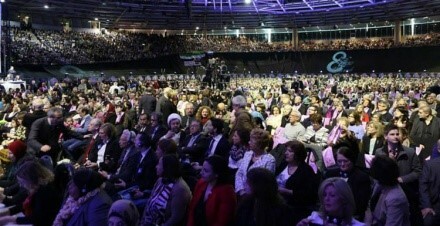 The event was one of the largest Iranian Diaspora events and featured representatives from Iranian expat associations, professionals, business people, academics, human rights activists, women’s right activists, and students, all of whom pledged their support for the PMOI and its 10-point plan for a new Iran. On February 25, 2014, 60 Iranian associations convened in Oslo, Norway, for a “Friends of a Free Iran” rally. Participants endorsed the PMOI and its 10 Point Plan for a secular, democratic government in Iran. The Union of Iranian Associations in Germany organized a rally in Berlin on March 7, 2015, in support of the PMOI and a free and democratic Iran. The event was attended by tens of thousands of people from 40 countries. It focused attention on Tehran as the epicenter of Islamic fundamentalism and extremism. The Iranian regime wants to destroy the PMOI because it attracts a large number of supporters who share the resistance organization’s determination to restore democracy and freedom in Iran. Iran’s mullahs and their proxies in the US and Europe do not want to openly acknowledge the threat posed by the People’s Mojahedin and downplay the organization’s significance, claiming it is “viewed negatively by most Iranians” and has “virtually no support among the Iranian population.” In reality, there is broad public support in Iran for the PMOI and its pro-democracy agenda, and this is why the regime spends substantial time and resources to counter the organization’s influence. After Ayatollah Khomeini came to power, the PMOI was the more popular opposition organization and nothing has changed since then. If anything, the People’s Mojahedin is more popular today given the regime’s reliance on terror to rule the country. INTV periodically holds telethons to generate funds for its operations. A substantial number of donations come from people within Iran, even though they risk severe punishment for doing so. Their defiance reflects courage and a desire for a free and democratic government. To counter the PMOI’s influence in Iran, the regime regularly broadcasts TV programs that demonize the resistance organization. It stages anti-PMOI exhibitions across the country and publishes scores of anti-PMOI books. The regime has set up numerous associations whose sole purpose is to vilify the People’s Mojahedin. The regime operates attack websites that daily disperse false and malicious news stories about the resistance organization, and at the end of every Friday prayer and at government rallies, supporters of the regime chant “Death to the monafeghi,” a derogatory term for the PMOI meaning hypocrite. The regime has an active program to coerce PMOI sympathizers to work for the government’s intelligence ministry as undercover agents, who then are dispatched to Europe and the US to distribute disinformation about the resistance organization to government officials, NGOs, and the media. These actions and others by the MOIS are confirmed in reports by European intelligence organizations. Iran’s foreign ministry takes advantage of every diplomatic opportunity to attack the PMOI and weaken its influence in the US and Europe. One of the most telling indicators of the PMOI’s popularity and reach inside Iran is its ability to gather highly secretive information on the regime’s nuclear program. The PMOI has disclosed details on more than 100 clandestine nuclear projects in Iran. The information is provided by underground intelligence sources and supporters working inside the government. The PMOI’s popularity extends far beyond Iran’s borders. The Iranian resistance and supporters of the People’s Mohajedin annually organizes a rally near Paris to commemorate the June 21, 1981 demonstration in Tehran. The Paris event attracts tens of thousands of supporters. More than 600 dignitaries from the US, Europe, Middle East, Canada, and Australia participated in the 2015 rally. Supporters of the PMOI include former Joint Chiefs of Staff, governors, attorneys general, FBI directors, members of Congress, foreign ministers, prime ministers, human rights advocates, parliamentary members, and military and intelligence officers. A February 2014 PMOI event on the 35th anniversary of the ’79 Revolution was attended by 300 Iranian associations from 18 countries and is believed to have been one of the largest ever gatherings of the Iranian Diaspora. Participants of these and other similar events publicly pledged their support for the PMOI and its 10 Point Plan for a secular, democratic government in Iran. The details in this document give abundant evidence of the PMOI’s broad reach inside Iran and abroad, and the regime’s aggressive efforts to undermine the organization’s popularity. The PMOI is a formidable adversary of the Islamic Republic. It is a strong and cohesive organization that is gaining strength, presenting an escalating challenge to the survival of the ruling mullahs. Below are some of the books distributed by anti-PMOI organizations in Iran. Where Elteghat (mix of ideologies) Lead to? Extraction of the Book What Must be Done? Why I am not a PMOI member? Why Am I Returning to My Country? Rajavi’s PMOI and A Democratic Society! What Political Current is the Candidate of Imperialism? Which Political Groups are Candidates of America’s Imperialism? 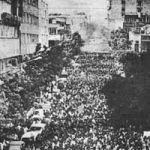 20 June 1981 – Rising to the Necessity of History! or Promoting Violence?